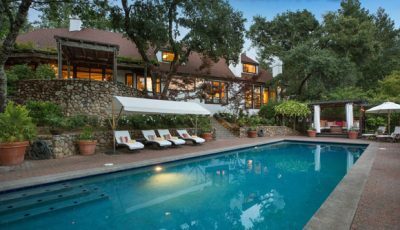 As recognisable as the Hollywood sign itself, Robert Redford seems to have been around forever. 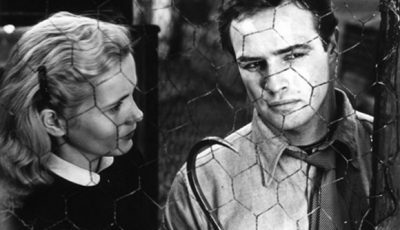 A career unmatched by most, his work spans six decades and features some of American cinema’s most unforgettable movies. 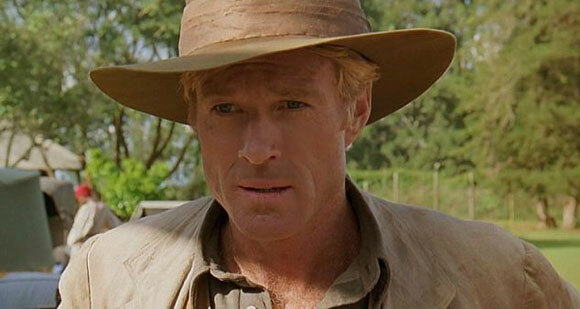 There are few actors boasting the longevity of Robert Redford. He’s an indelible part of Hollywood film and seems to have been around forever. The signs of age may be written across his face but there’s an evergreen quality about the man from Santa Monica. This is best evidenced by the qualities of an “above-average” everyman he brings to many of his most loved characters; men with flaws and frailties, with fears and shortcomings, but who possess an air of physical refinement, humour and an overarching willingness to do good. 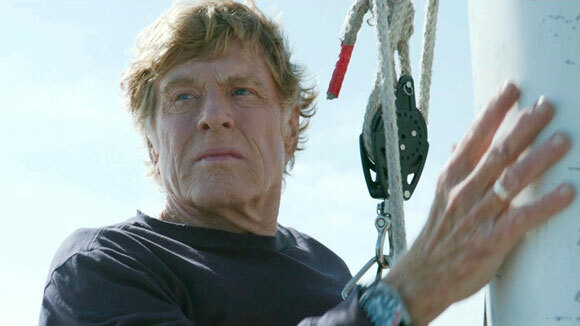 J.C. Chandor’s survival film sees Robert Redford’s sailor stranded in the Indian Ocean after his boat is damaged by a stray shipping container. A one-man-show, Redford commands the screen in much the same way Tom Hanks had to engage with the audience while alone on a desert island in Cast Away. The New York Film Critics saw fit to bestow Redford with their Circle Award for Best Actor due to his work on the film. When talking about Robert Redford films it would be difficult to leave out this much-loved 1985 historical epic. 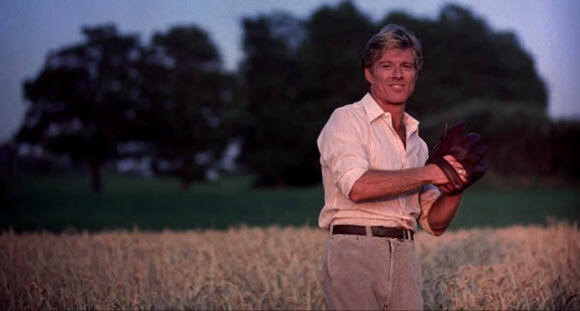 The brilliant Meryl Streep stars alongside Redford as a upper class woman whose new home in Nairobi, British East Africa, is complicated by a dismissive husband and the shortcomings of his investments leading her to find solace – and love – in game hunter Denys Hatton’s much simpler ways of living. The gorgeous cinematography and John Barry’s wondrous score elevate the melodrama. Barry Levinson’s The Natural is a hugely popular baseball movie starring Redford as Roy Hobbs, a talented ball-player whose career ups and downs are tracked throughout a story taking place over a number of years. A glowing sense of optimism may detract from the film’s emotional authenticity but as inspirational sports movies go, The Natural has all the right feelgood parts. 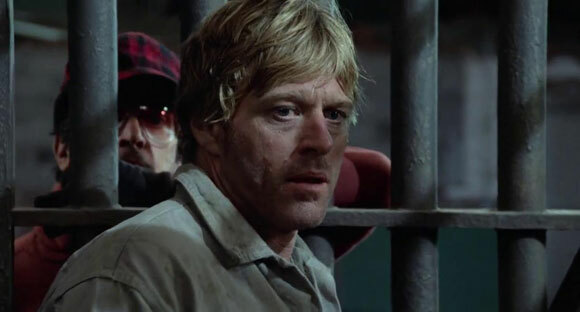 A film that perfectly encapsulates Redford’s determination to turn a bad situation into a good one, here he arrives at a corrupt Texas prison as its new warden but disguised as a prisoner. He uncovers cruelty, torture and extortion, which are all based on the real-life experiences of Thomas Murton, a prison warden who co-authored the 1969 book – Accomplices to the Crime: The Arkansas Prison Scandal – that inspired the movie, and sets out to put things right. He’s faced with both a system and an ingrained culture that refuses change, his plight ultimately a largely fruitless one. 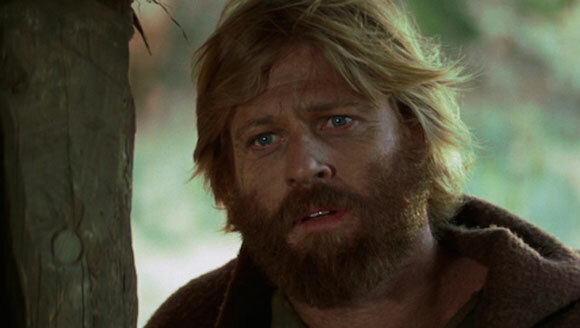 An understated performance from Redford against the glorious backdrop of Utah’s rugged environment, Jeremiah Johnson has many layers other than simply man versus nature. Redford’s eponymous character heads to the hills to escape society’s mechanised contemporary living and structured constraints. It’s a film that celebrates the landscape, moving episodically through its well-intentioned themes that boast unsubtle nods to an America embroiled in the Vietnam War while directly acknowledging its insecure relationship with native Americans. A rewarding, slow-burner. 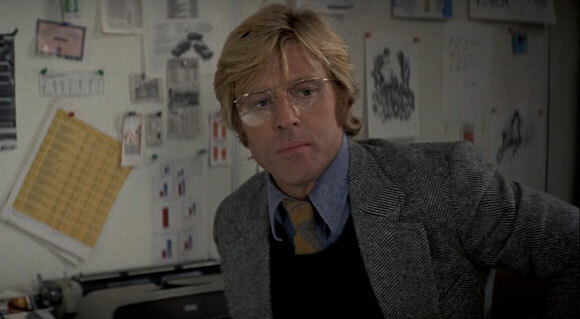 You could look at Sneakers as a very loose sequel to Three Days of the Condor as Robert Redford plays a character who appears superficially as the older version of Joseph Turner, the protagonist of Sydney Pollack’s paranoid 1975 political thriller. That’s about where the similarities end. 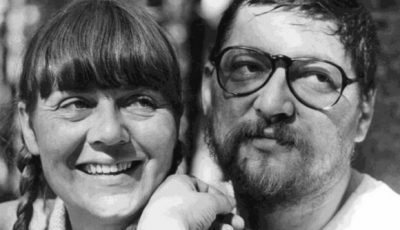 Phil Alden Robinson’s film is more about the caper. It takes itself far less seriously, leaning more towards comedy and fun action set-pieces. 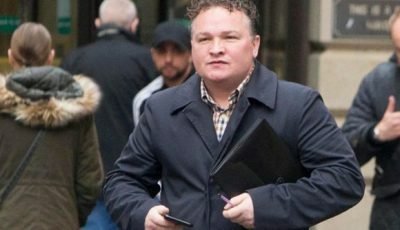 Here he’s part of a crack team of security analysts who are unwittingly thrust into a tale of corruption and intrigue that appears to reach the upper levels of government. 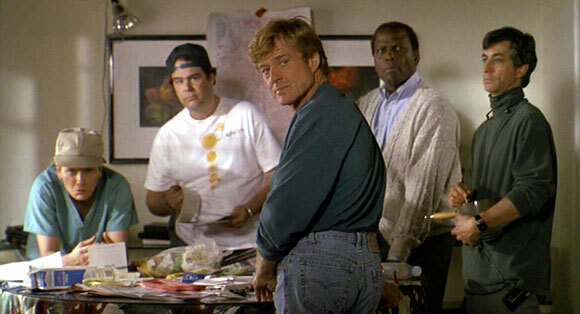 An ensemble piece, Redford heads the team which includes Sidney Poitier as a former CIA officer and River Phoenix as an ace computer hacker. Cloaked in paranoia, Three Days of the Condor is the stand-out film of the 1970s’ politically-inspired espionage movies and sees Redford unwittingly thrust into a life-or-death situation after uncovering wrongdoing within the CIA. 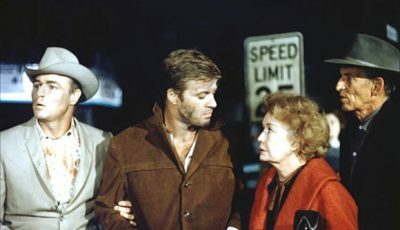 There’s a “wronged man” motif that reminds of some of the work of Hitchcock, particularly North by Northwest, as Redford’s plight descends into chaos. Arriving post-Watergate, the film has an added sense of authenticity that makes the protagonist’s situation more unsettling and, evidently, compelling. The iconic pairing of Paul Newman and Robert Redford, Butch Cassidy and the Sundance Kid is one of the first films you think of when recalling Redford’s early career. 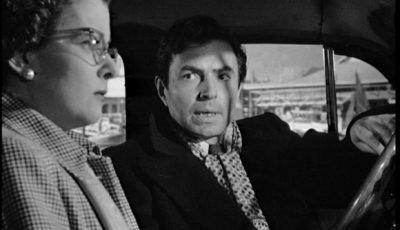 He had become a recognisable star by now after appearing as the lead two years earlier in the likeable Neil Simon scripted comedy Barefoot In The Park and this western cemented his reputation as one of Hollywood’s most bankable actors. 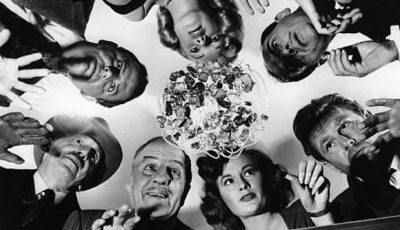 This fun, endlessly re-watchable film from George Roy Hill sees two grifters conning a mob boss (who is played by the brilliant Robert Shaw). It undoubtedly influenced Steven Soderbergh’s approach to Ocean’s 11 while taking pointers itself from 1969’s The Italian Job. Robert Redford reteams with both his co-star and the director of Butch Cassidy and the Sundance Kid (Paul Newman and George Roy Hill respectively). A film that continues to resonate culturally, politically and socially today, this true story of Carl Bernstein (Dustin Hoffman) and Bob Woodward (Robert Redford) uncovering the Watergate Scandal is a wonderful example of the beneficial role of news media, the courage of journalists to put everything on the line for the truth, and the importance to question those in authority, especially those charged with running the country. 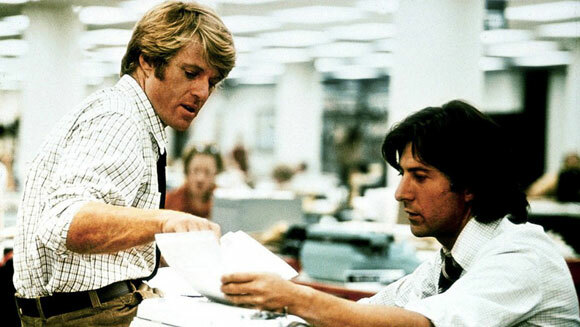 All The President’s Men is even more successful thanks to Redford teaming with Hoffman, two of Hollywood’s greatest actors in tandem. 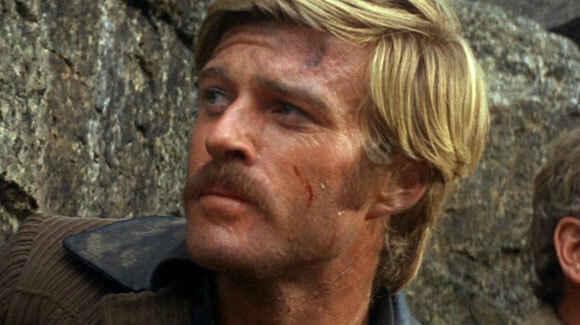 Over to you: what are your fave Robert Redford films? Glad to see Jeremiah Johnson on here! 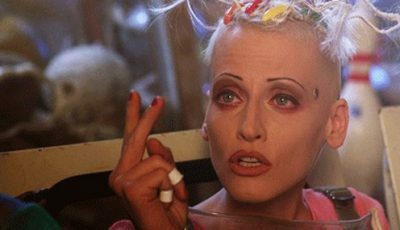 A fantastic film. As a guilty pleasure I would add Indecent Proposal, not a good film but he’s so great in it. I watched The Sting this weekend. Then watched it again because it is SO GREAT. I know many don’t see it as one of his best but I loved Sneakers. As prescient now as it was then. 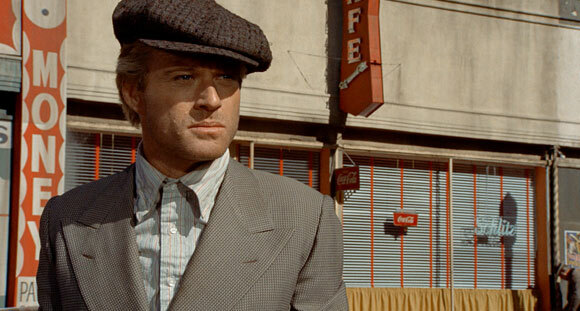 I am hard pressed to pick a favorite film in which he stars, but would have to say The Sting. The best movie he directed is Ordinary People. He was pretty good in Attenborough’s A Bridge Too Far. I would have put The Hot Rock in there before Sneakers. And yes, The Candidate would have been in my Top 10. An extraordinary talent and individual. Sundance (the film school) is a testament to that. The Candidate – Spy Game too.